“I feel concerned by what’s happening in the world and involved in what surrounds me. I don’t want to just “document.” I’m trying more to understand, to grasp reality. I’ve found in photography a language that suits me.” The major retrospective of images by Martine Franck (1938-2012) at the Musée de l’Elysée, Lausanne, foregrounds 50 years of work exploring the human condition throughout the world. 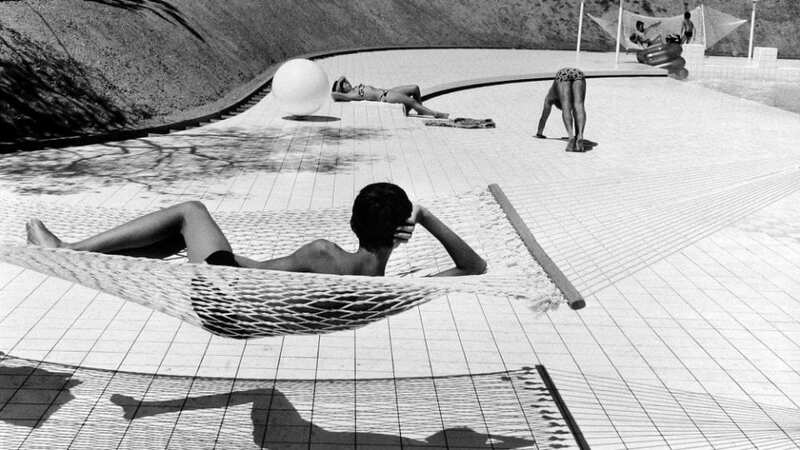 Martine Franck, Swimming pool designed by Alain Capeillères, Le Brusc, summer 1976. Franck’s diverse and deeply personal approach covered timely themes including the work environment, the female experience, ageing, solidarity and humanitarian issues. The 140 featured photographs demonstrate this varied subject matter, offering a powerful and unique perspective of our times. The exhibition runs 20 February-5 May. Find out more here. Lead image: Martine Franck, Byker district, Newcastle upon Tyne, United Kingdom, 1977 © Martine Franck / Magnum Photos. The Beauty of Lines creates juxtapositions between diverse works, revealing unexpected echoes and resonances of form and structure.